For our out of town patients we have negotiated special rates with nearby hotels in the Beverly Hills and Los Angeles area. 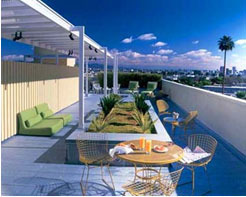 The Tower Beverly Hills celebrates Hollywood glamour, the laid-back LA lifestyle and the style of Rodeo Drive. The Tower Beverly Hills is a savvy insider in every sense of the word. This casually warm Beverly Hills hotel lies at the epicenter of it all, even making the occasional cameo in Hollywood films. Whether you’re relaxing incognito poolside, or stepping out for a flashy world premiere, this property offers a show-stopping alternative to the standard Beverly Hills boutique hotel. Residence Inn by Marriott- Beverly Hills is a boutique style hotel that has 186 suites designed with your complete comfort in mind with separate sleeping and living areas, a fully-equipped kitchen with refrigerator, and new LG 32-inch Flat Panel LCD Televisions, you will discover everything you need for a pleasurable stay. Delight in home-inspired amenities, including a microwave, coffee maker and complimentary newspaper. Business travelers will appreciate complimentary wired or wireless Internet access and dual-line phone system. Sofitel Los Angeles has stunning interiors featuring French style and Hollywood glamour complete with state-of-the-art technology – including high-definition TV and WiFi Internet with spacious work desks, glass-enclosed rainfall showers, and French bath amenities. Be sure to check out the Stone Rose Lounge by Rande Gerber and visit Le Spa’s 5,000 square feet of serene bliss. The Four Seasons Hotel (Los Angeles at Beverly Hills) is the essence of style with a relaxed California attitude, located in a quiet palm-lined residential neighborhood just minutes from Rodeo Drive and Robertson Boulevard shopping. Soak in the views on the tropically landscaped pool terrace, relax in cabana and the rejuvenating spa. Four seasons service and cuisine sparkle in light-filled meeting spaces – with expansive terraces, balconies and landscaped panoramas. Complete with acclaimed spa and everything this high-speed world requires. Avalon Beverly Hills was inspired by the relaxed “patio lifestyle” of mid-20th Century Southern California, Avalon Hotel’s 84 rooms, suites and penthouse studios offer guests comfort and style in the heart of Beverly Hills. Custom-designed and classic furnishings include pieces by such notable designers as George Nelson, Isamu Noguchi, and Charles Eames. Pampering Beverly Hills accommodations include custom-designed furnishings and beds with sumptuous Italian designer lines, Molton Brown amenities and in-room spa treatments. 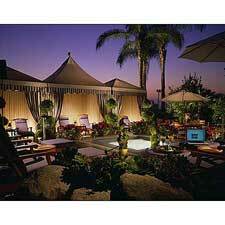 Sheraton Gateway Hotel LAX is stylish and sophisticated, warm and inviting. The thoughtfully renovated Sheraton Gateway Hotel offers a distinctive blend of classic West Coast luxury, up-to-the-moment technologies and resort-style amenities. Located near Los Angeles International Airport for convenience, wired for technology, and outfitted for recreation, the hotel perfectly captures the city’s unique vitality and refined sense of urban living. 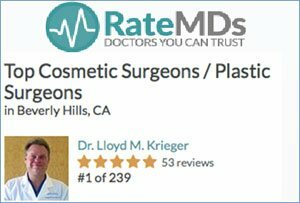 Please remember to mention Rodeo Drive Plastic Surgery to obtain your special rates. 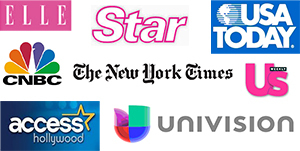 For patients traveling from out of town, we are pleased to have made special arrangements with the above hotels. We have many patients from out of town, so we can make the entire process quite smooth. Please call us for more information.